On Tuesday last week, once I’d completely recovered from the race, we continued with our touristy trips around Cape Town. The morning was spent in town, and to be honest, we should have skipped that bit. 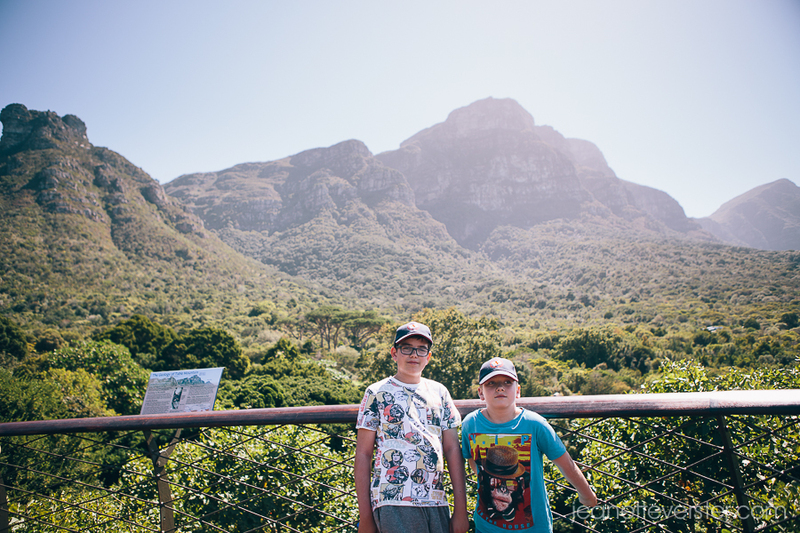 We should’ve rather spent more time at Kirstenbosch. 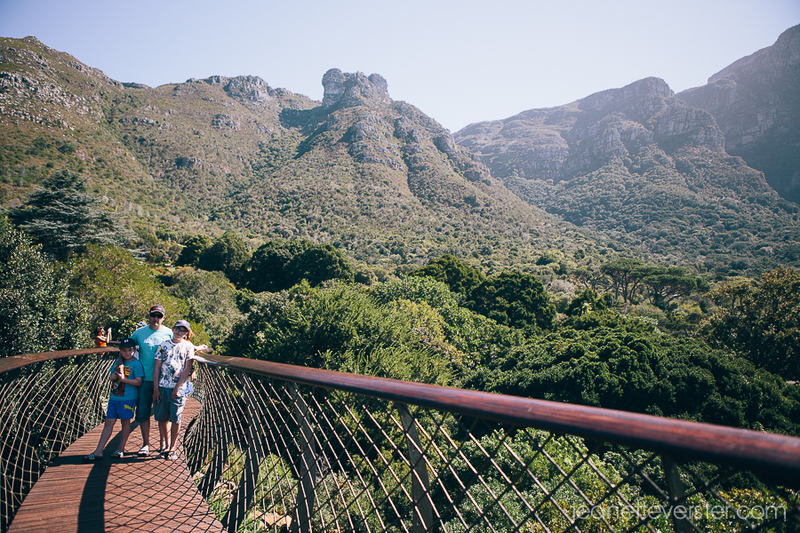 And then we headed for Kirstenbosch. That was incredible! It’s leaps and bounds ahead of where Walter Sisulu gardens are in terms of a botanical garden IMO. I loved the little gardens, and found the name plates on the plants were much more prolific than the other botanical gardens we’ve visited. We could have spent hours there, but we were now hungry, and the cafe was jam packed, and we didn’t pack a picnic. It’s also so much bigger than I thought it was… we definitely need sneakers for our next visit. 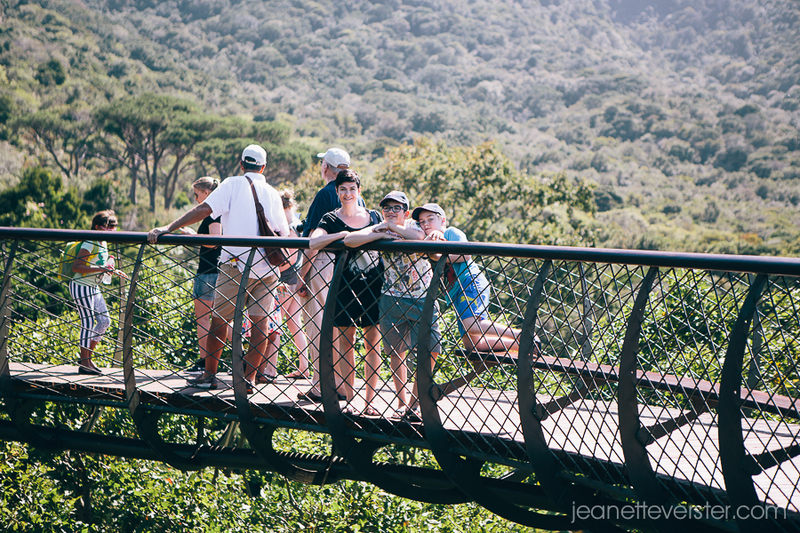 So, we walked up to the Boomslang Tree Canopy walkway, had a ball on there. We spotted a Eagle Owl sleeping in a tree top RIGHT next to the walkway… now that was very special (no photos though because I only took my wide angle lens on holiday). It was too busy and in the middle of the day for awesome photos, but we’ve got good enough ones to remember the trip. The answer I think, is to get there in the early morning before the crowds arrive. Next time we go to Cape Town, we’re spending a whole day there. Granny’s favourite place in Cape Town when they lived there. Treetop walk is a must for us on our next visit.